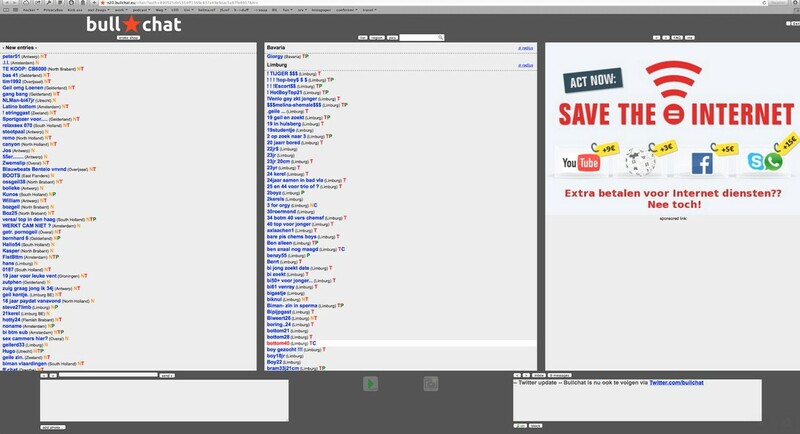 Over 500,000 people helped win net neutrality in the EU. Who were they? When the European Union set out to establish rules on net neutrality — to protect the public from ISPs establishing fast and slow lanes on the Internet — 510,385 people submitted comments urging regulators to enact strong rules. But where did all those people come from? I took a look at the piwik logs from the SavetheInternet.eu site to help answer that question. Comments were submitted from around the world, including from all 28 European Union member countries. Most of the submissions came from large countries, but some smaller EU countries, like Ireland, Malta, and Slovenia, played major roles as well. 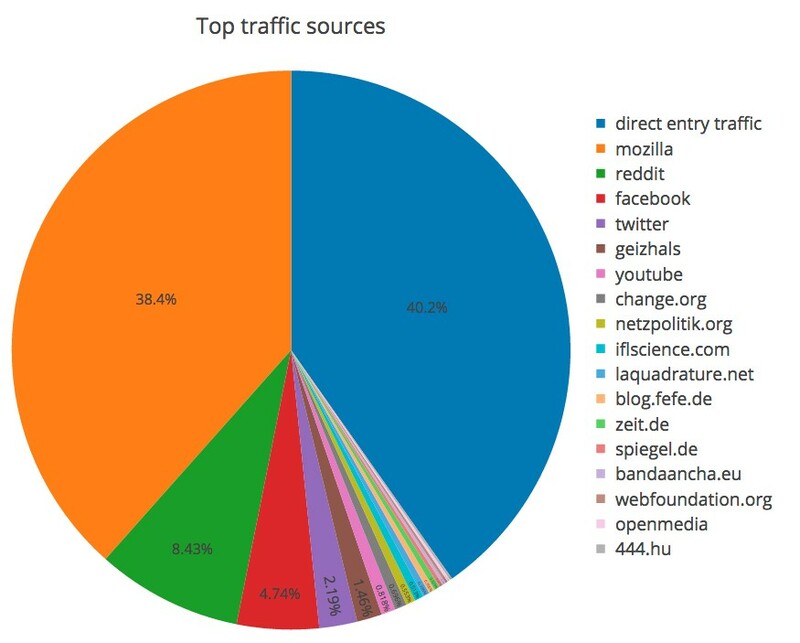 Data source: www.savetheinternet.eu traffic information collected on piwik, 12/13/2013–7/31/2016. Not surprisingly, the largest country in the EU, Germany, sent the most comments. But when you look at the number of comments sent by each country as a percentage of their population, it’s clear that the residents of some smaller EU countries also strongly support net neutrality. People who used SavetheInternet.eu to take action in support of net neutrality were referred from hundreds of websites and social media platforms. Though some of the traffic came from sites like Mozilla providing links for their users, a significant amount also came from user-generated content posted to sites like Reddit and Facebook. BullChat embeded a “Save the Internet” action widget in their chat app. The Netherlands-based gay chat site BullChat was a top referrer, suggesting that the gay community is concerned about the discriminatory potential of practices like fast lanes, throttling, and zero rating on free expression and online communities. However, since bullchat was embedding content from savetheinternet.eu in their site, these numbers over report their number of referrals, and it’s unclear exactly how much traffic they contributed relative to other sites. Traffic to SavetheInternet.eu came in a series of spikes, with little traffic on most days. Several traffic spikes came from Reddit, with r/PCMasterRace, the self-described “largest community of PC gaming enthusiasts on the Internet,” providing most of the Reddit traffic. (This particular subreddit has a long history of engaging politically on issues that affect Internet users.) Other spikes came from Youtube videos being posted, Change.org petitions being shared, and viral content spreading on Facebook. These 500,000+ comments, from across the web and across the European Union, set a new record for public engagement at the Body of European Regulators of Electronic Communications (BEREC), the regulators considering the net neutrality rules. Never before had BEREC received more than 100 comments for a regulatory proceeding. The comments come on the heels of similar demands from a broad coalition of academics, public interest groups, web inventor Tim Berners-Lee, joined by Harvard’s Lawrence Lessig and Stanford’s Barbara van Schewick, and 135 startups and investors, including founders of the major European startups Skype and SoundCloud, and US companies like Medium, DuckDuckGo, and Cogent Communications. The message is clear — people all across Europe want an Internet where all data is treated equally so that innovation, creativity, and free speech can thrive like never before.